A Columbus Criminal Defense Attorney’s Take on Congress’s New Marijuana Ruling | Yavitch & Palmer Co., L.P.A. 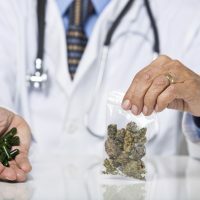 A little over a month ago, a small provision was quietly slipped into a federal spending measure that effectively ended the federal government’s ban on medical marijuana—meaning medical marijuana dispensaries are no longer under threat of being raided by federal agents. With this new shift in our government’s drug policy, many Ohioans are wondering how the new bill will affect our state’s marijuana laws. First, let’s look at Ohio’s current laws regarding marijuana. Ohio is not one of the states that has legalized recreational or medical marijuana. However, possession of small amounts of marijuana has been virtually “decriminalized” in Ohio. That means, if you are caught possessing less than one ounce of marijuana, it will be confiscated and you will be fined $150, rather than facing jail time. It is only a minor misdemeanor. But be cautious of the other potential consequences, such as a driver’s license suspension and a criminal record that can impact other things. However, if you are caught possessing more than one ounce of marijuana, jail time is a possibility, especially if you are accused of distribution. Marijuana paraphernalia, including pipes, vaporizers and bongs are still illegal as well. What does the new ruling mean for Ohio? While removal of the federal ban on medical marijuana is a step in the right direction for legalization advocates, state laws are allowed to be more restrictive than federal laws. Consequently, it’s possible that Ohio will not be affected at all. However, there are other bills in the works that would legalize medical and recreational marijuana in the state of Ohio. If one of these were passed, the story could change. It would appear that, in regards to the United States legalizing recreational marijuana, the dominoes are falling. Just remember, even though legalized pot appears to be just over the horizon, it’s still considered an illicit substance by today’s standards, and police will still arrest you for smoking or possessing weed. However, as the reality of legalized recreational marijuana inches closer, some courts are allowing for a little more wiggle room when it comes to possession charges. That’s why, if you’re arrested and charged with use or possession of marijuana, you need an experienced, professional criminal defense attorney from Yavitch & Palmer to look over every aspect of your case and work to get your charges minimized or dismissed. Call Yavitch & Palmer today at 614-224-6142, or use our online contact form to make an appointment at our downtown Columbus office.